Preserving The Motherhood Advice And Memories Of A Mom When Rebecca Posamentier was pregnant with her first child, she visited StoryCorps with her mother, Carol Kirsch. The soon-to-be mother tried to glean all she could about parenting from her own mother, before it was too late. Carol Kirsch and her daughter, Rebecca Posamentier, visited StoryCorps in 2008. Posamentier visited again recently. 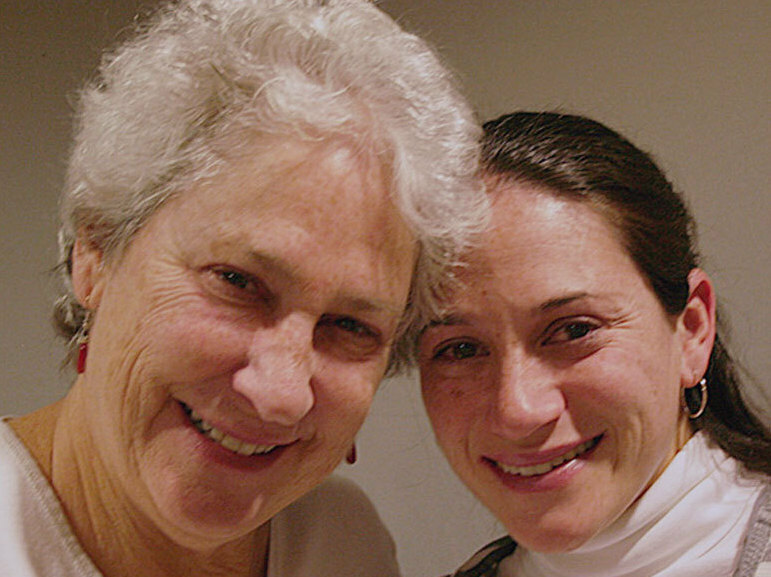 In 2008, Rebecca Posamentier visited StoryCorps with her mother, Carol Kirsch. "My mom was diagnosed with early-onset Alzheimer's, and I was hoping to get her voice and her thoughts on tape before she couldn't express them anymore," Posamentier said recently during a second visit to StoryCorps. Kirsch died in March 2011, but during that first visit, Posamentier chatted with her mother about well, motherhood. "Um, Mom was very insecure, because she had polio as a child, and she had a limp for pretty much all her life," Kirsch said about her own mother. "She felt that she was not whole somehow, so I had a rocky relationship with Mom. And I was afraid to have children for many years, but I'm so glad I did." At the time of the first StoryCorps visit, Posamentier was in the late stages of pregnancy with her first child. She asked her mother what she wanted to share with her granddaugher once she was born. "Well, I'd want her to know that she's going to be very loved," Kirsch said. "And, you know, I've told you that I was worried that my Alzheimer's would get worse, and that I wouldn't be able to spend time I want with her. I really hope I can do that for a while." And, for the first two years the grandmother and granddaughter were very close. 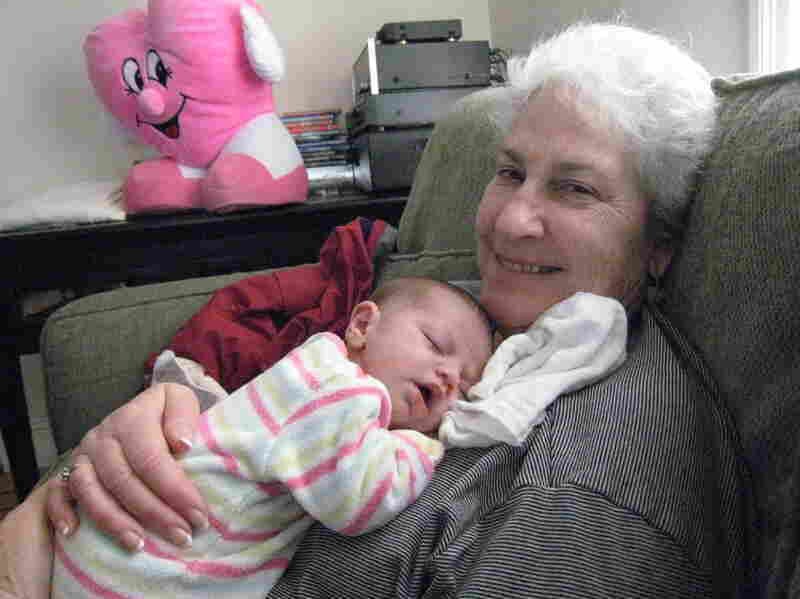 Kirsch with her granddaughter Sophie. "But Sophie was so little — she was only 3 when [Kirsch] died — that I don't know how much she'll really, truly remember," Posamentier says today. "The sad part for me is that she modeled everything for us." A couple of days before Posamentier left for college Kirsch told her about how her parents had not necessarily been supportive. So she told Posamentier that no matter what happens, even if it's horrible, she should still tell her about it. She would help her to get out of whatever situation. "Those are the qualities of motherhood that I want to have, too," Posamentier said in 2008. Now that she's a parent, Posamentier says she would love to talk things out with her mom. "And that's what I miss the most right now."